A,B, C, D & 1 trains to Columbus Circle, N, R, Q & W trains to 57th St and 7th Avenue, and F train to 57th St and 6th Avenue. M5, M7, M10, M20, M30 and M104 buses to Columbus Circle at 59th St or 57th St and 8th Avenue. Celebrate your wedding or special event at Robert as you overlook Columbus Circle, Central Park and Broadway through our floor-to-ceiling windows. 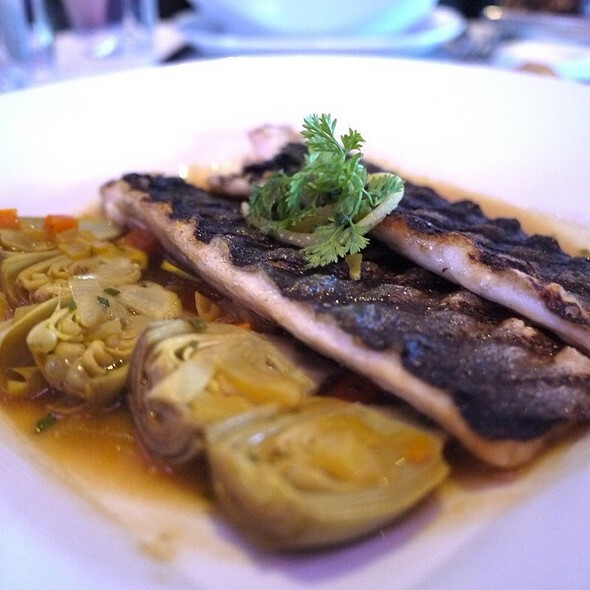 Dine on classic, modern American fare. 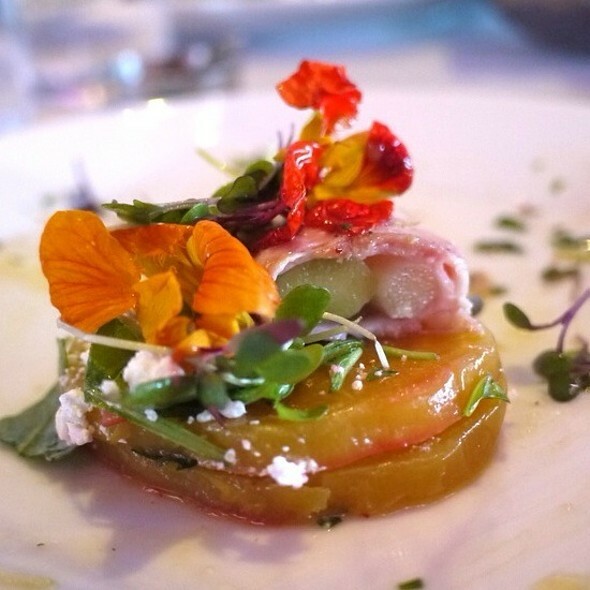 Create the experience of a lifetime with our event planners and culinary team. At Robert, our focus is on surpassing your expectations. Leave every detail and element to our knowledgeable staff. Robert is a modern American restaurant housed within the Museum of Arts and Design with an amazing view of Columbus Circle and Central Park. Enjoy dinner and a bottle of fine wine from our collection in our beautifully designed dining room. Have a seat in our lounge next to our baby grand piano and sip one of our cocktails. Join us for a lovely Mothers' Day. $110 prix fixe, Scott Gordon on the Piano and a gift for Mom. We went for Easter and we invited friends to join us, unfortunately the quality was not as usual. Most important the bread had nut shells in it, we reported it to the personnel, since we risked to break our tooth in multiple occasions. Their answer was about “nuts and allergy”, I don’t think they really understood the complaint and risk, and we didn’t even receive a sorry or an apology for the inconvenience. I’ve been going to Robert for years, too bad that the quality and attention is declining. We relied on our concierge, Yuri, at the Grand Hyatt to recommend a great place with a view. His top recommendation was Robert. So glad we went. Chris, our waiter was quick, efficient and so helpful about our many questions regarding New York life. He enjoyed taking care of us and opening up about his life in the city. The food was perfect. Our evening was everything we hoped. Can't wait to come back! It was my first time. The atmosphere is fantastic, the wine choice is huge. The pianist plays famous songs and the view is astonishing. I highly recommend the place. We Love coming here ! Maybe a few too many crying children at brunch time so be forewarned. When my children were little not that long ago we took them to wonderful restaurants but we never let them disturb other diners...don’t get what today’s parents are thinking. Always a consistent great service and good food. We had the incorrect reservation but they were able to accommodate us. Food was delicious, particularly the pork belly + carrot fraiche and the seafood dishes. Toasted coconut ice cream was the best! Passion fruit cheesecake is so-so compared to the coconut ice cream. Service was a little slow, probably because we were in the back. While gracious, he should have been more attentive in terms of checking on readiness to order, water, getting the bill. Everything was perfect; service, food and drink. I bought in a cake and candles as it was a friends birthday and the cake was bought over with lit candles after our meal and very beautifully presented in to eat later. So much care and attention from all there. Would fully recommend. 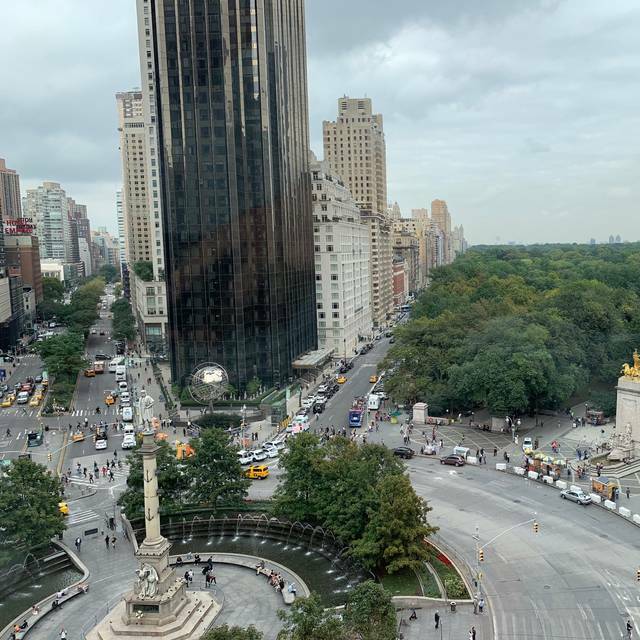 As we were led to the back left corner away from the windowed front, I felt disappointment until we arrived at our lovely secluded table with a view of Columbus Circle and Central Park from 2 of our seats. We were meeting French friends of ours and of course offered them those seats with a view. They were more than impressed. A bread basket and a gluten-free roll were served upon request. My husband and I shared the burrata/beet/fig salad, which was creamy and flavorful, but could have had more beets to strengthen it. The fish offerings were well received and my squid ink pasta with lobster had a lovely sized portion of sweet and tender lobster. It was a joy to be in a beautiful setting sharing a conversation with friends without the need to raises the decibel level of our conversation. I would definitely return. Wonderful setting. Fabulous food. Very attentive wait staff. 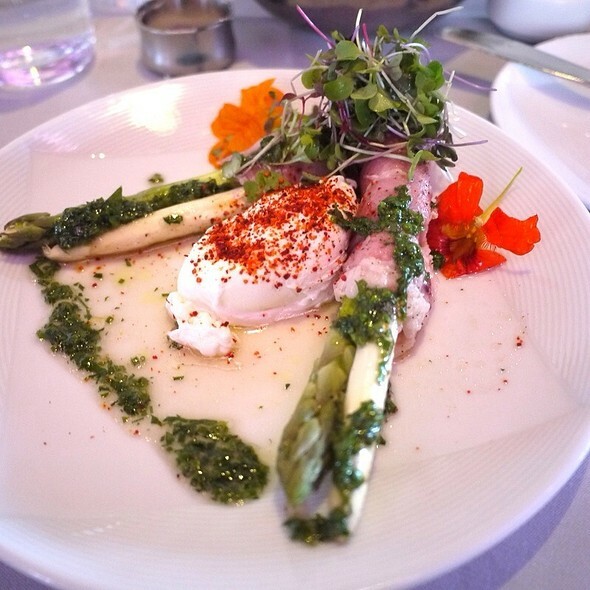 Each year we return for a delightful meal, be it brunch or dinner. Please be specific about what is in your dishes. My sister asked very clearly, about a salad and then a soup, whether there was anything beyond the listed ingredients in the dish she was ordering. The waiter said no, but when those items came, there were in fact other ingredients, which she did not want/could not eat. In both cases the waiter replaced the dishes immediately, but that should not have to happen - - a customer should not have to appear difficult, sending something back when the question had been asked clearly; and the waiters (and kitchen) should not have the extra trouble. Other than that, everything was excellent! Not impressed at all. The food was mediocre and the service was not good. My husband asked for a soft drink three times before they brought it. It’s my daughters 10th birthday and we requested a table by the window. We reserved in advance. They did not accommodate this. They did however make her two little finger sized cakes (tiny). Afterwards she asked if we’d take her to a bakery to buy her a brownie. TOURIST TRAP. Great view in a fine dining restaurant. From beginning to end the food was fantastic-lamb shank, salmon and pork. Robert was delightful as always. Food terrific and service lovely. The food was great! The service was very good aswell. I asked if we can sit next to the window. But the waiter said that we had to book in advanced. So on our next visit we will make sure we book 3 weeks in advanced. The food was also very good! The attention to detail in making our birthday dinner special was spectacular. This is our third time visiting Robert in New York City. 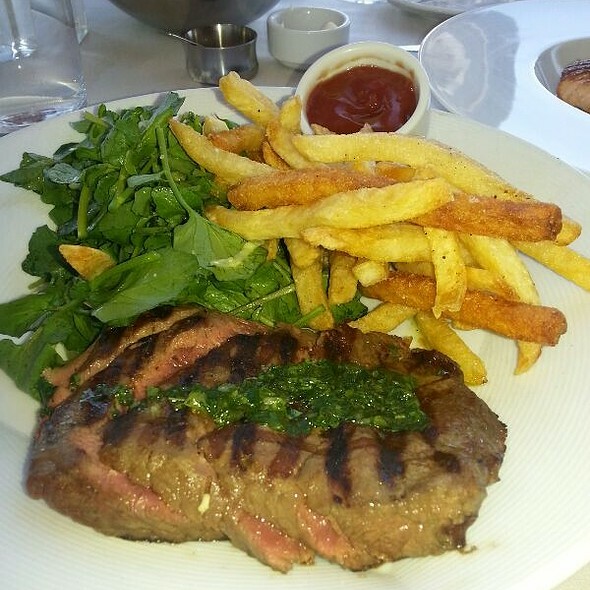 As in our previous visits, the food and service were outstanding. Would recommend for special occasions. Fabulous anniversary brunch. Good tasty and inventive food with a view to match. Fantastic Sunday Brunch before seeing The Ferryman. 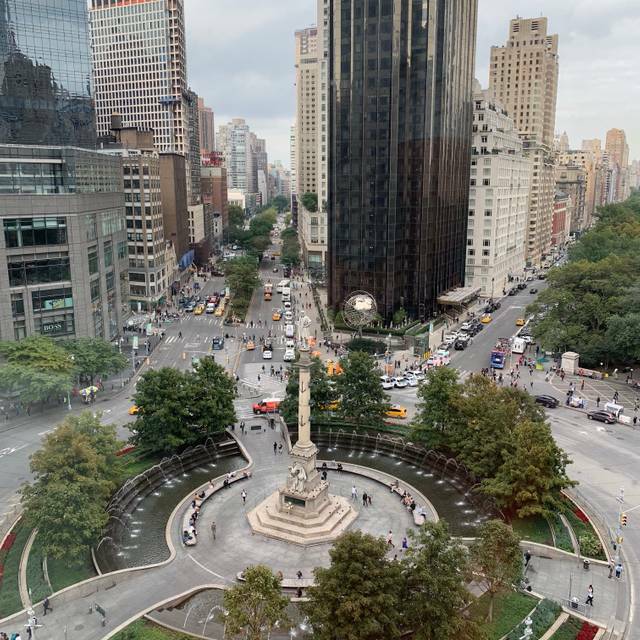 We had a window table as requested overlooking Columbus Circle. The view is superb. There was a cellist and piano player for wonderful background music. The Lobster omelette with brie and corn was incredible and we enjoyed the spicy Bloody Mary's and Bellinis. Waiter was excellent and put me at ease with my food allergies. Would definitely will recommend! We enjoyed everything about our brunch at Robert’s - can’t wait to go back! This was my second time and did not disappoint. Loved the view and food was great also. One of my favorite spots in NYC. Ambiance wasn’t as elegant as I thought it would be. Too many people dressed down. The food was very good. Our servers were amazing and the pianist was excellent!! Exquisite! Loved the view and the food! Excellent choice and such a wonderful place. Thank you! The food was pretty incredible but pricy for sure as to be expected in a restaurant with a view of Central Park. The little desserts that were free at the end of the meal were insanely good! Definitely worth going to for brunch! Service was excellent- view, ambiance , and pianist complemented the experience. Terrible experience. I went there for dinner with my husband and my 2 children. We asked for a table with a view, we had a table (almost at the back of the restaurant) with a partial view on a residential building, no interest at all and very intrusive. The few tables with the view on Central park don't even have a breathtaking view... nothing incredible. Foodwise : Quite expensive, small portions and terrible food. My daughter took a lentils soup, it was water with some "not enough cooked" lentils grains inside. It didn't taste good, it was really bad. I took the scallops, there were 4 small scallops in a watery sauce, really like water, it had no flavour. And on the side 2 spoons max of carot puree. Fabulous restaurant—bread, amuse bouches, mains and desserts were all terrific. There was a pianist too. Great views, pretty place, excellent service. After touring the LOOT show at the MAD museum, my friends and I went to upstairs to Robert for dinner. 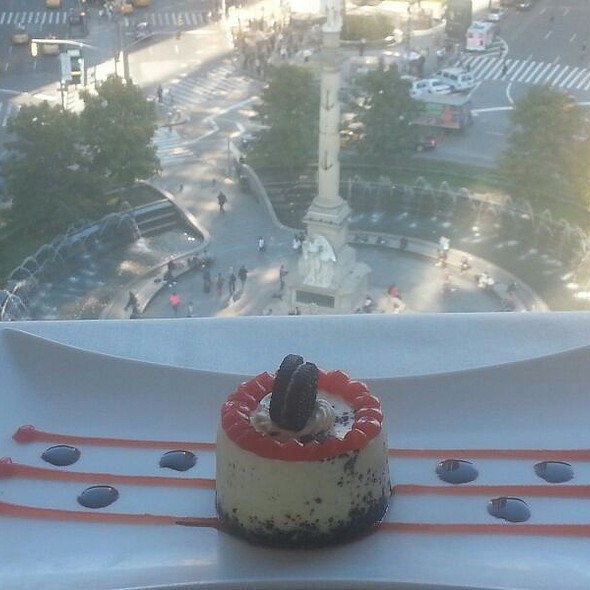 We were seated by the window and had a great view of Columbus Circle. 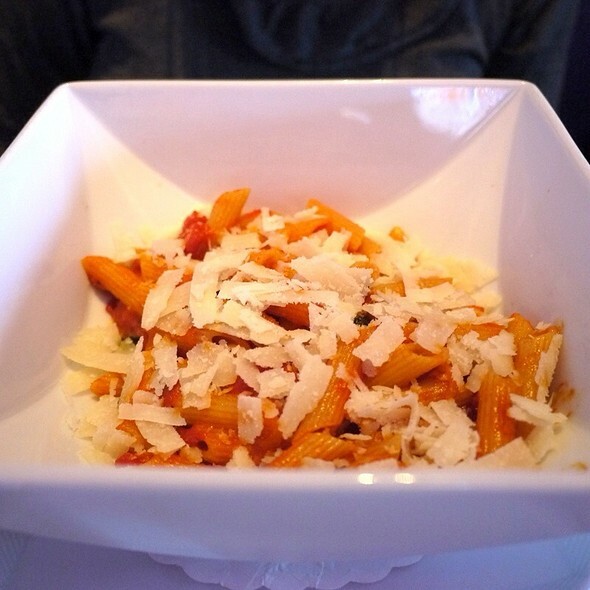 The food was great as usual, the desert was sinful as usual, and the service was excellent. The ambiance is always upscale and the piano entertainment enhances the experience. I will definitely return and definitely recommend it to friends. We very much enjoyed our experience. Our waiter was very attentive. Our meals were wonderful. The view and ambience were perfect. Our only complaint was that we requested a table at the window weeks ago. We were given a table jin the row just out from the window. The one at the window near us sat vacate for most of our meal. Eventually a couple came in and were given that table. Why not us to begin with? Perhaps I should have called for our reservation instead of counting on a request made when booking with Open Table. 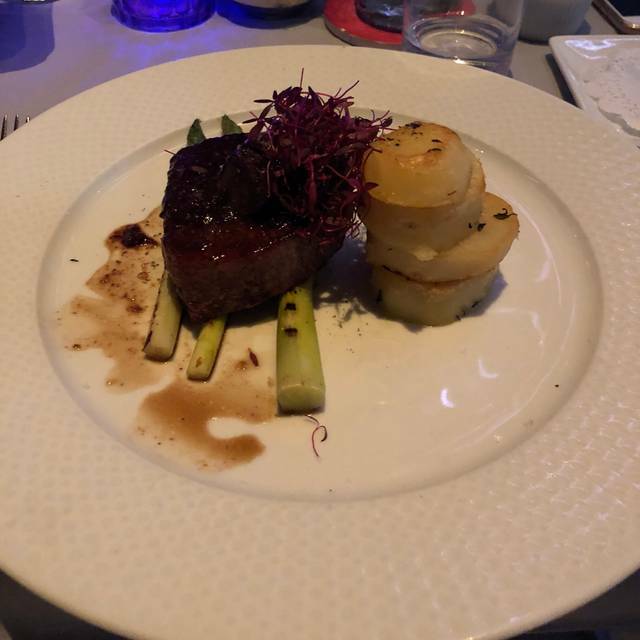 Fantastic view, exceptional food, service not up to par but may have been the waiter because other servers and hostess were great. Excellent service, view and staff. Big thanks for helping me celebrate my partners birthday. You guys are amazing!!!! Great meal as always. celebrated a birthday. Everyone loved the piano player and service as well. Made for another perfect night there!. Food was great and the wine selection pared well with the food. Found the against window a little tight but the view was amazing. I would definitely try sitting in the lounge area for cocktails and light appetizers before heading out for the night Overall had a good time.